It's been a long time since I've read anything by Stephen King (aside from his non-fiction work, On Writing, which is brilliant by the way!). In fact, I believe the last I read was The Green Mile when it was released as a serial. Perhaps it's because I instinctively associate him with horror, the preferred genre of my adolescence. But I cannot doubt his skill as a master storyteller. I chose to read The Girl Who Loved following glowing recommendations on Mumsnet from a thread entitled "Books you could just not put down". Having read the description, I was enthralled: this looked to be a book without supernatural encounters; the story of a girl lost in the woods, about the same age as my daughter. No monsters, so far as I was aware, and potentially an easy, enjoyable read. As the wise Mumsnetters predicted, this was a book I simply could not put down. King builds his characters so perfectly well that while reading you imagine the same sense of dread poor Trisha experiences; her hunger and pain; her concern that she might not make it through the night. I found myself making excuses to retire in isolation to read more, and somehow managed to finish this short novel over two nights, keeping myself awake until 2am to write this review in the hope that others may discover and enjoy this title along with me. 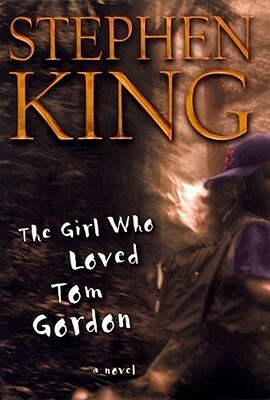 Thanks to this book, I'll be sure to sample more of Stephen King's more recent works of fiction. My interest in this author has been rekindled.